your business in 360º using Street View technology. to Engage Customers, Gain New Clients, Improve SEO and Build an Image Library for other marketing. 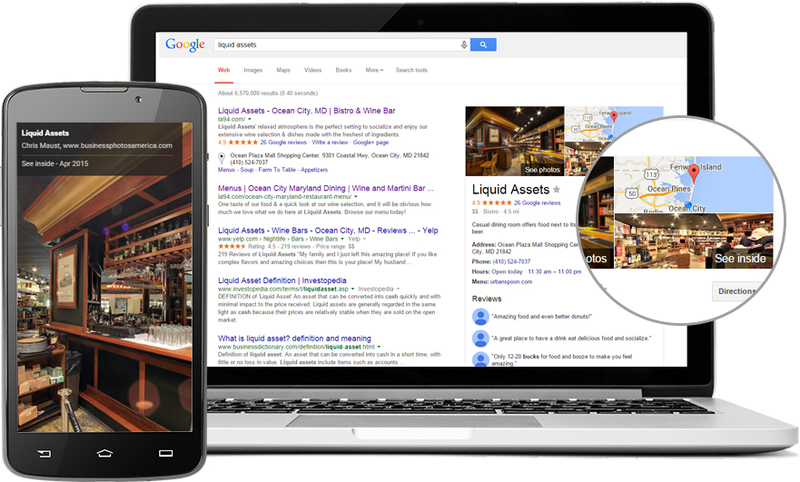 across GOOGLE, accessed in GOOGLE Maps and can be applied to your website and social media platforms. Engage with current and potential customers. Visitors guide themselves through your entire space from floor to ceiling, and in and out of rooms. This gives the viewer a detailed perspective of your identity, branding and product or service without leaving their internet device. 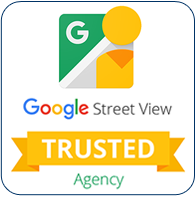 Your GOOGLE Indoor Street View can be viewed across all GOOGLE sites. It is easily accessed and displayed on GOOGLE Maps when a user searches for your location. The tour can also be applied to your business website and posted in your social media platforms. This exposure and marketing can lead to higher search engine optimization. All of the high quality photography taken for your GOOGLE Indoor Street View will become the property of your business and you can use these images in any future marketing applications, including print and web advertising. Experience a 360º tour of your business across Google. Some of our clients as they appear on Google.